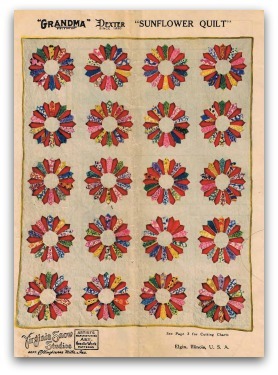 Quilt making as in colonial days is again the dominating feature in the field of Art Needle Work. 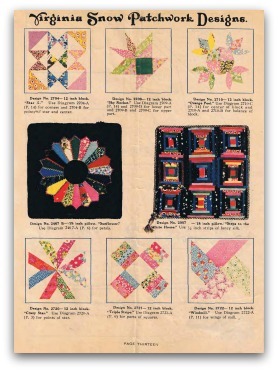 To day thrift is a fashionable virtue and can be expressed in no better way than by making these beautiful patch quilts. 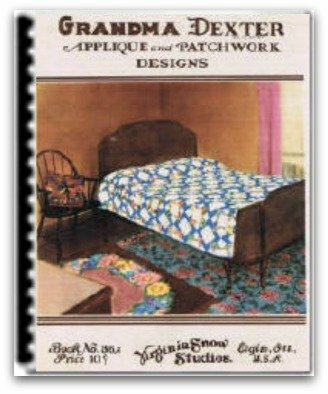 These patterns are being searched for in the libraries, book shops, stores and at out of the way farm houses where a rare treasure is often unearthed from some trunk or cedar chest. 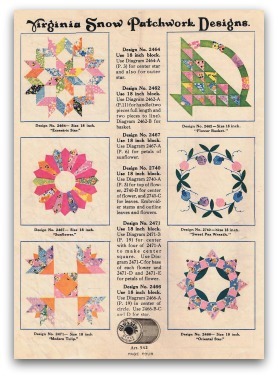 Virginia Snow with the cooperation of Grandma Dexter has made every effort to present to you in this new book a varied collection of old and new quilt patch patterns and a number of lovely original applique designs. 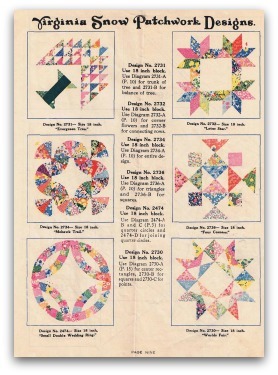 Quilt making is an Art to itself and Virginia Snow has had no small part in developing it to the practical-economical state it is today. 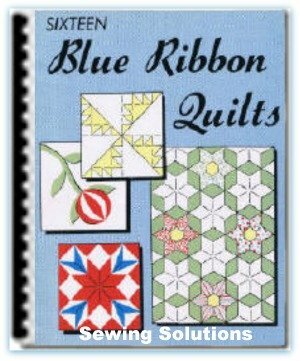 The quilt block patterns in this book are all given in beautiful colors. 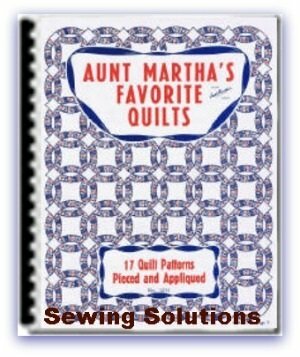 This will be a great help to the quilt maker in developing an attractive color scheme. A number of suggestions as to placing the finished blocks are also shown. 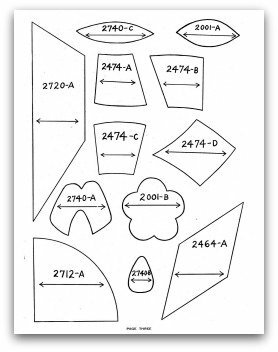 All cutting patterns shown in this book are actual finished size and one quarter (1/4) inch must always be allowed for seaming. 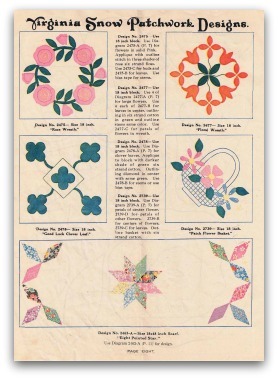 To make these patterns, trace or cut designs from the book and mount on cardboard and cut out. 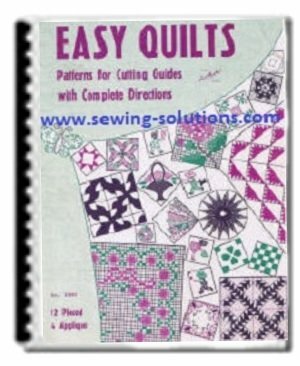 This gives a firm pattern for cutting the blocks and assured symmetry in the finished quilt. 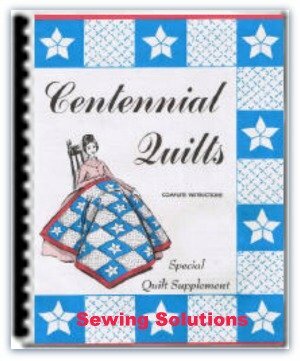 The life of a quilt depends a great deal on the thread used in making it. "Dexter Sewing Cotton" is no longer available but Coat and Clarks is a thread you can depend upon for strength and durability. 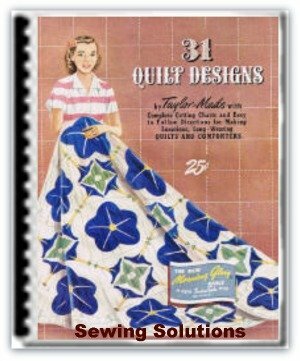 In many quilts the plain block often holds a beautifully quilted design in colon For this work Dexter's quilting twist of boil proof rayon Art. 1128 is ideal. 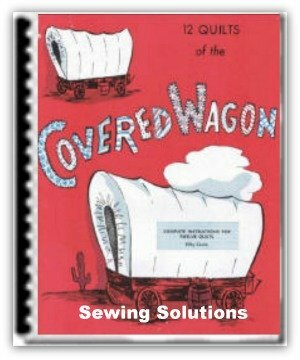 This thread comes in many lovely colors and will greatly enhance the beauty of your quilt. 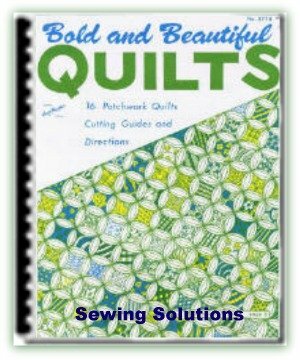 The Virginia Snow Studios present this new quilt book in full color with considerable pride and the authentic endorsement of the National Art Needle Work Society. May you enjoy working out the designs we have selected as the very loveliest from many hundreds.